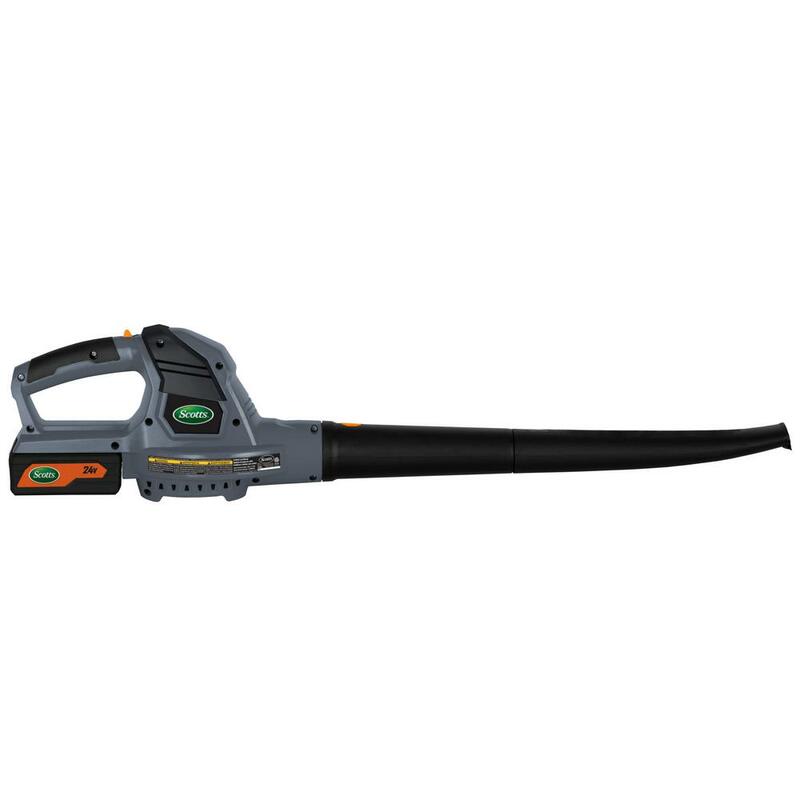 Scotts Cordless Electric Blower 24-Volt 2.5 Ah lithium-ion battery is lightweight and convenient. Weighing under 5 lbs. 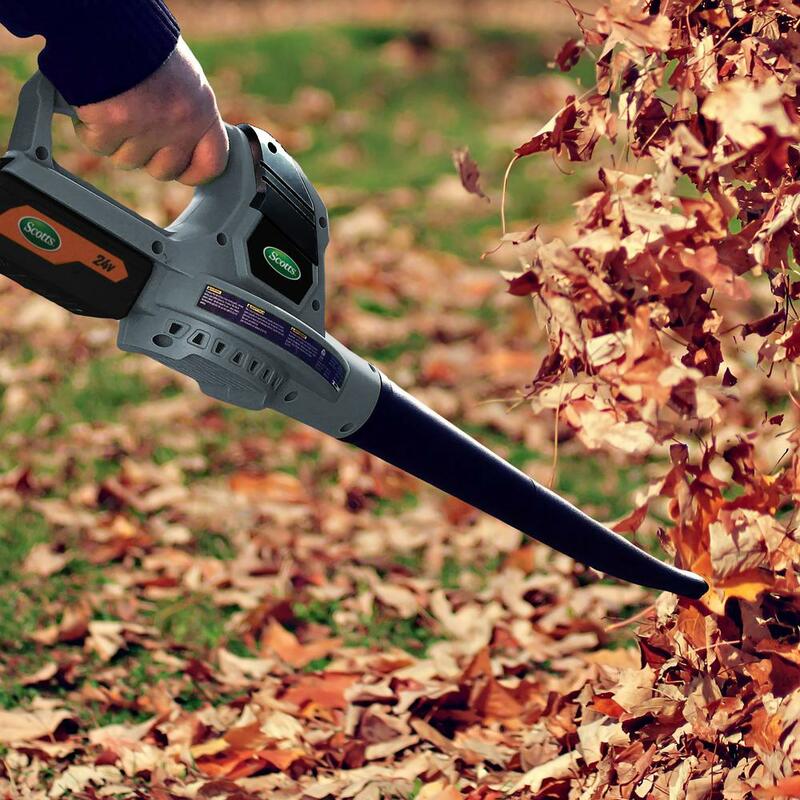 this blower is easy for anyone to use. 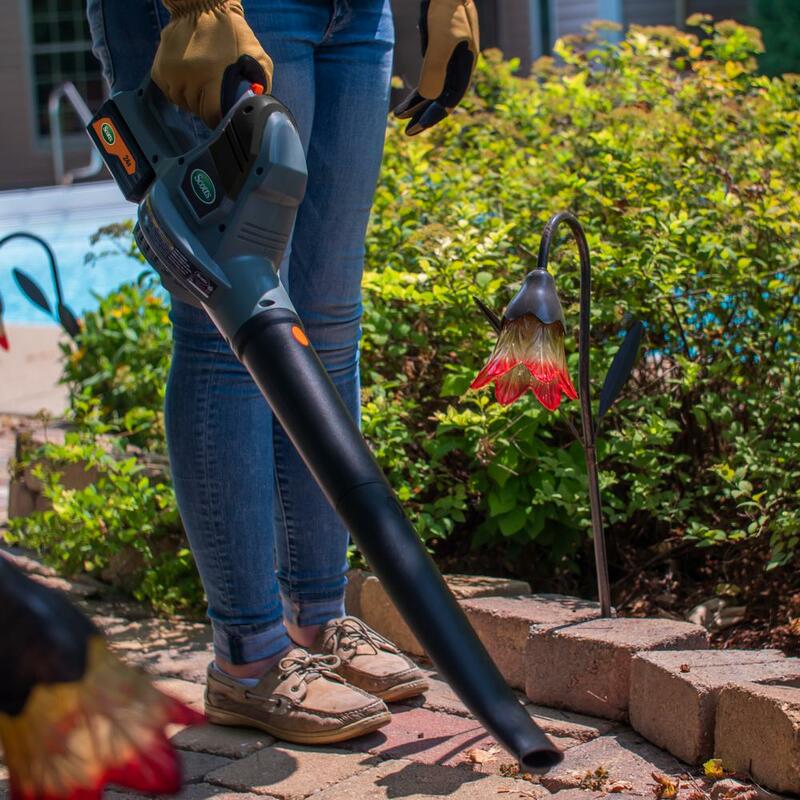 This blower is great for blowing debris off of hard surfaces like patios, decks and sidewalks. It features a 1-hour fast charging system, a snap on 20 in. tube and a maximum air speed of 130 MPH and 71 CFM. The 2.5 Ah Battery and charger is included (Battery is compatible with Scotts 24V products). 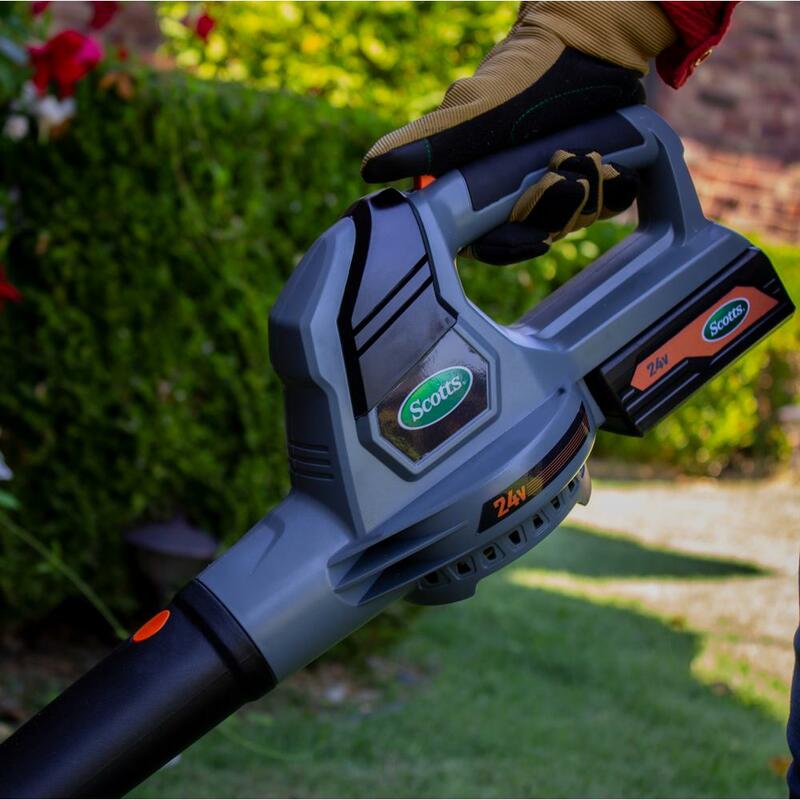 It requires no gas and no oil, so there are no fumes or mess. Warranty: 3-year tool warranty; 1-year battery warranty.